New generation malware and attacks have been targeting ICS and systems causing huge monetary and human life losses. Penetration testing on ICS systems is a very niche field which requires in-depth knowledge and has a huge dependency in terms of the Hardware availability. This contest/Context will concentrate on methodologies to conduct penetration testing of commercial Hardware devices such as PLCs as well as simulators. The contest will provide an excellent opportunity for attendees to have hands-on experience on Penetration Testing of these devices and systems. The ICS setup will simulate the ICS infrastructure with real time PLCs and SCADA applications. It will also cover basic briefing of ICS components, jargons, architecture, various protocols used and need for security. 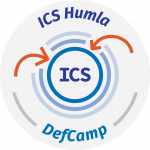 The ICS Contest/context is targeted toward pen-testers, hackers, students and enthusiasts who really want to study and want to have experience on Scada (ICS) Hacking. Contest CTF: There will be certain challenges for the attendees and some GOODIES to give away for the winners. This competition is proudly organised by Payatu. Sneha Rajguru, Senior Security Consultant with Payatu Technologies Pvt.Ltd.